Now, Puller is called out on a case in a remote, rural area in West Virginia coal country, far from any military outpost. Someone has stumbled onto a brutal crime scene, a family slaughtered. The local homicide detective, a headstrong woman with personal demons of her own, joins forces with Puller in the investigation. As Puller digs through deception after deception, he realizes that absolutely nothing he's seen in this small town, and no one in it, are what they seem. Facing a potential conspiracy that reaches far beyond the hills of West Virginia, he is one man on the hunt for justice against an overwhelming force. I've come to expect a certain kind of novel from David Baldacci: Government agencies, military-type hero, bad guys, good guys (and a pretty clear distinction between the two) and a conspiracy/cover-up/terrorist threat set in Washington DC and/or Virginia/West Virginia. This plot of Zero day clearly follows this formula - in this case a new hero ex-Army now special agent John Puller (aka "Puller") plus local West Virginia police Sam (Samantha) Cole (daughter of a coal-man), The owner of the area's major employer the shady (and greedy) Roger Trent, a mysterious concrete bunker and an housing development abandoned by the feds in the late 60's and seven mysterious murders - the victims brutally tortured. Puller is the lone federal agent assigned to the case - augmenting Sam Coal's stretched police force. The reason that Baldacci sells so many novels is that he plays off his strengths and doesn't often vary significantly from his formula. The result is an entertaining novel with somewhat predictable results. The reader feels OK about putting the novel down and as though they can pick the novel back up and start where they left off. A bit of drama, not so much on the edge of one's seat. Best characterised as honest entertainment - perfect for a drive to a dog show or a flight to Chicago. I hope that we'll see more from Agent Puller in the future - a new series perhaps? I think Puller has enough character to become as strong (and interesting) as Oliver Stone (Camel Club) - given some time and maturity. Narration of Zero Day was by Baldacci regulars Ron McLarty and Orlagh Cassidy who seem to play off each other beautifully (even though it's highly probable that each record their studio pieces separately). 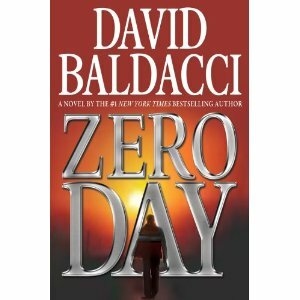 Zero Day was written by David Baldacci and published by Hachette Audio. Zero Day was released on 11/01/11 and has a runtime of 13 hours 11 minutes. Did I miss something? Was reason for Robert's court martial for treason explained?